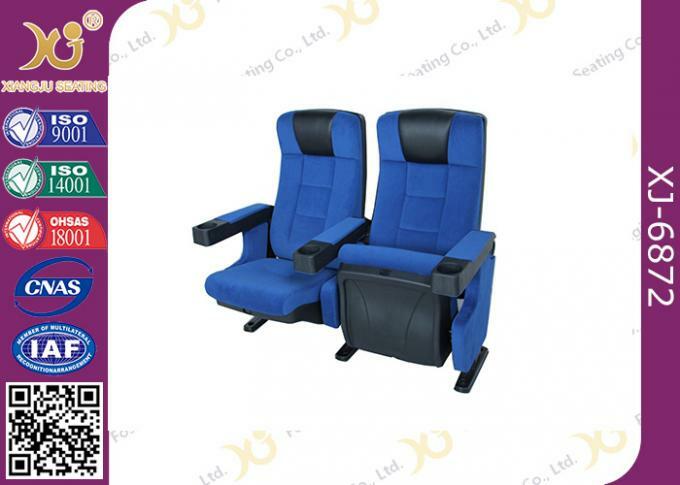 * Foam: made of high-density molded foam, with the features of heat preservation,heat insulation, etc. 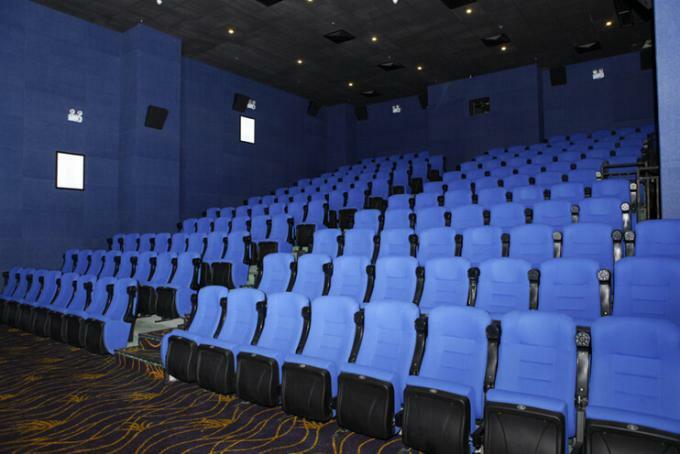 * Inner panel: good quality plywood with 12mm, thicker than others. * Seat and back panel: good quality plwood seat and back. * Returning mechanism: self-gravity returning mechanism. * Writing tablet: no writing tablet. 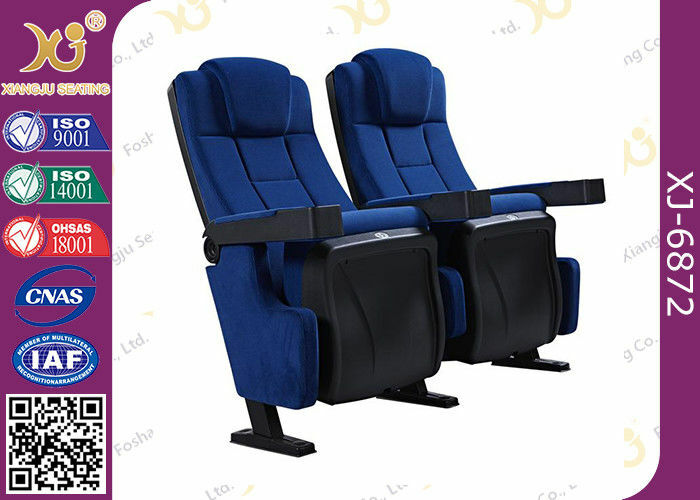 * Fabric: excellent special fabric with flame-retardant,stain-resistant and fade-froof. * Footing frame: footing pipes are quality square pipis(60*30*T2.0),footing adopts 2.0 quality cold-rolled steel formed through bending,burnishing,plishing,derusting. 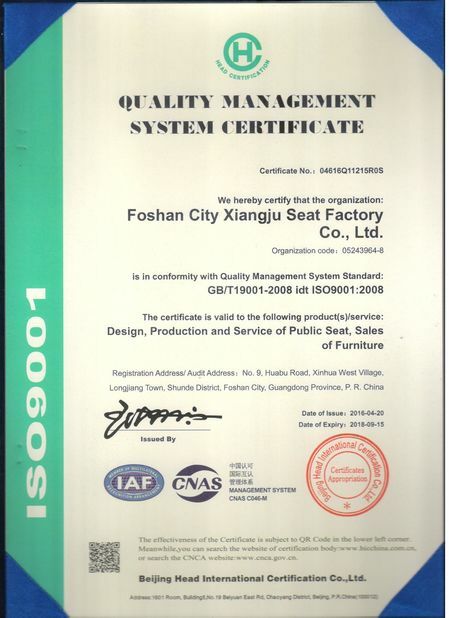 1. all of chairs are not only strictly controlled by QC every step, but also passed quality certification, such as ISO9001, ISO14001, SGS. 2. We have six production lines now, our production capacity is 600pcs/ day. help us accumulate a lot of experience to fuifill the program. 4. 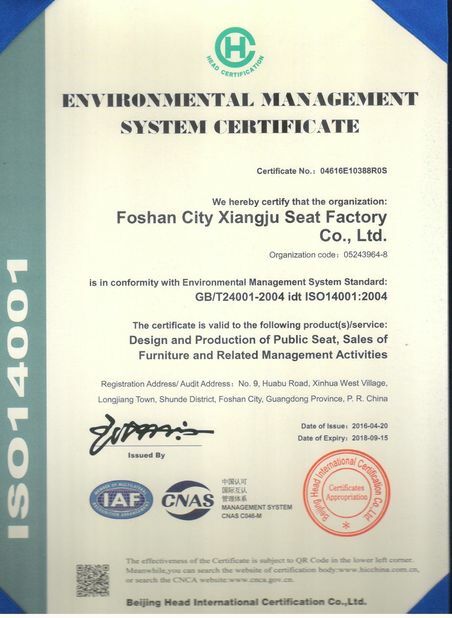 Xiangju seating 5 years’ warranty for all of products. lot of cost. 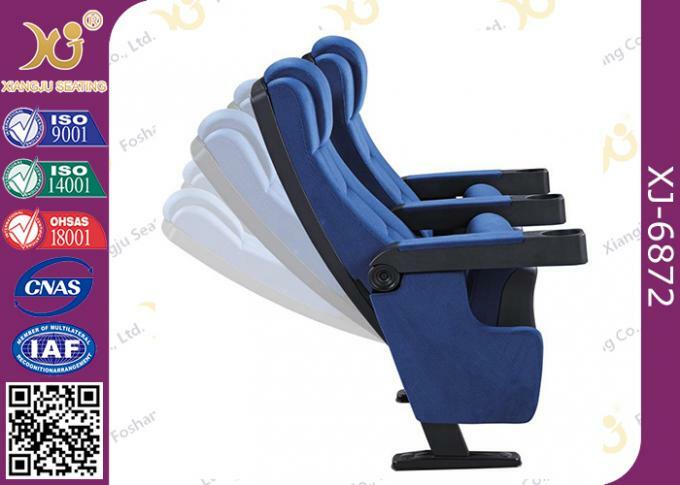 Our workers are very skillful with more than 5years experience in public chairs. 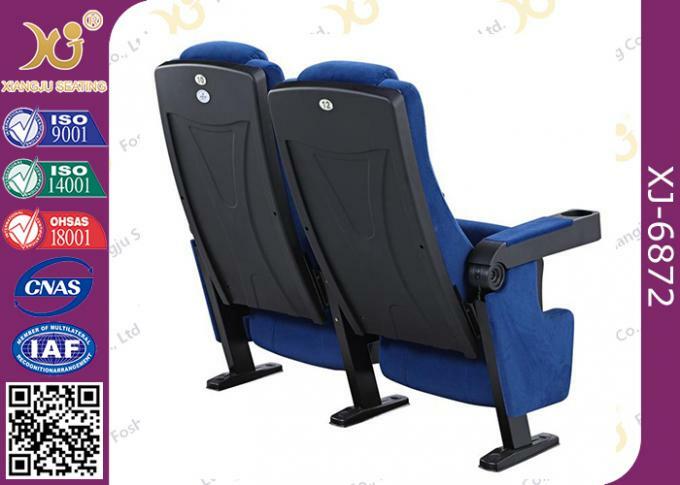 Foshan Xiang Ju Seat Co.,Ltd specializes in producing auditorium seating, school seating, cinema and theater seating for several years, who is welcomed by domestix and foreign customers.We also join in CIFF( China International Furniture Fair) every year. 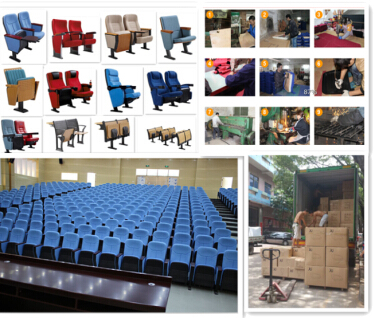 Welcome to visit our factory.Any comments from you are high appreciated.